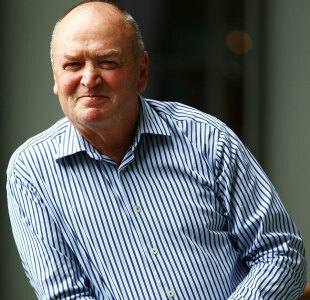 Argentina have announced a major coup ahead of their first season in the Rugby Championship with the recruitment of former All Blacks coach Sir Graham Henry as a consultant. Henry, who stepped down as New Zealand's head coach following their Rugby World Cup triumph last year, will take on a part-time consultancy role next month mentoring Argentina's high performance coaches with his extensive experience set to bolster the Pumas' preparations for their introduction to the southern hemisphere's premier competition later this year. The 65-year-old, who has also recently been appointed as mentor to New Zealand's high performance coaches at Super Rugby and ITM Cup level on a two-year deal with the New Zealand Rugby Union, is looking forward to an "exciting but also extremely challenging" year working with the Argentina Rugby Union (UAR). "My role will be offering the UAR's High Performance team and its coaches an insight into what is required to create a national programme that will ultimately lead to a more competitive international team," said Henry. The Pumas will open their season with Tests against Italy and France in June before kicking off their Rugby Championship campaign against South Africa in Cape Town on August 18. "It makes me very happy that Henry is joining us," commented Pumas coach Santiago Phelan. "He's coming to work with us and make our play better." However, Henry will not form part of the Pumas coaching team when they tackle the All Blacks in Wellington on September 8 or in Buenos Aires in the return clash three weeks later due to the terms of his latest NZRU contract. However, NZRU chief executive Steve Tew has given Henry his blessing in the hope it will benefit the game as a whole. "Graham has said all along that he is keen to broaden his work and spend a bit of time offshore and it should be good for him, good for us and Argentina and in the long term that is good for SANZAR rugby given that Argentina are now part of the Rugby Championship," he told Radio Sport. Explaining the NZRU's stance, he added, "What we're looking for him to do is grow coaches. In the short term we could put our coaches into actual coaching positions in developing countries but if they are going to be any good in the medium and long term then they have got to devlop their own coaches and that's what hopefully Graham is going to help with. "We see ourselves as having a legitimate role in growing the game globally. If we want to survive as a sport on the international stage then we need to do our bit and this was a way of contributing without seriously impacting on our competitive advantage. It's a balancing act but on judgement we think this is ok."
NZRU high performance manager Don Tricker reiterated that Henry has the union's support. "It's a real positive not only for him but for Argentinian rugby as well. He will be mentoring their age-grade and national coaches," he said. "It's in everyone's interest for Argentinian rugby to develop as they prepare to enter this year's new Investec Rugby Championship. Their inclusion in the new competition is exciting for everyone and will be a historic moment in the history of southern hemisphere rugby."